SCVHistory.com DB6303 | Roads | Beauty Queens (Bonnie Dillenbeck) at Antelope Valley Freeway Opening, 8-23-1963. 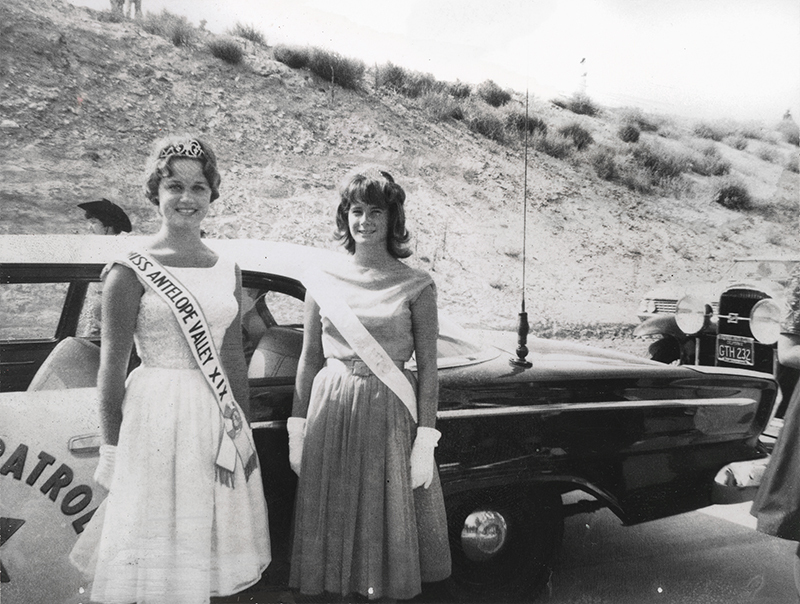 August 23, 1963 — Rhonda Cox of California City (left), Miss Antelope Valley 1963, and Bonnie Dillenbeck, 1963's Miss Tri-Canyon (Mint, Sand, Soledad), in front of a California Highway Patrol cruiser at the grand opening of the first section of the Antelope Valley Freeway. This is probably at Sand Canyon Road, where the day's event started; or it's at Red Rover Mine Road, where it ended with political speeches. 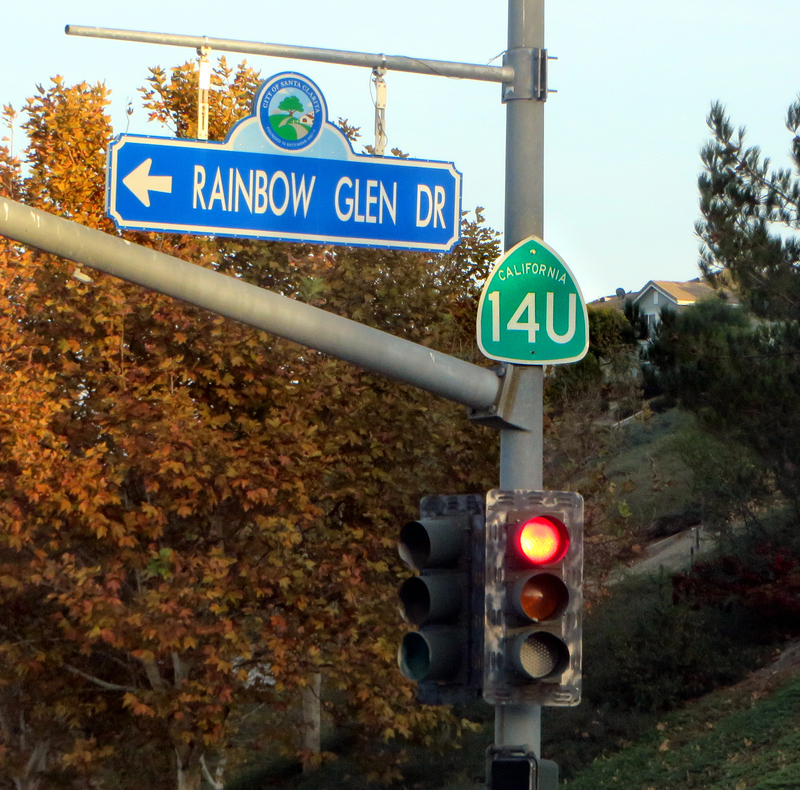 The first section of the new freeway stretched from (east of) Solemint Junction in Canyon Country to Red Rover Mine Road in Acton. Born in December 1947, Bonnie Dillenbeck, later Bonnie Jones, is the third of six children of Charlie and Gertrude (Powell) Dillenbeck, owners of Dillenbeck Canyon Market on Sierra Highway. DB6303: 9600 dpi jpeg from original 3x4-inch print.